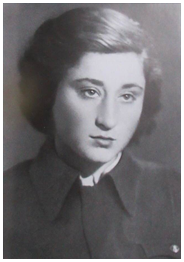 Yelena Kagan joined the Red Army after the German invasion and was trained as a German-language interpreter. Her first assignment was to the bittertly contested Rzhev sector and she would later adopt the pen-name Rzhevskaya to honour the fallen there. 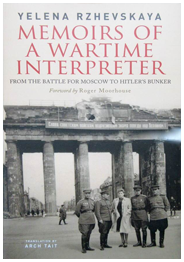 The fortunes of war subsequently brought Yelena to Berlin in 1945 and a dangerous and unexpected position at the centre of world historical events. Rzhevskaya lived in Moscow after the war, worked as a writer and won prizes for her fiction and journalism. She was the author of two acclaimed history books and six war novels. Yelena Rzhevskaya died in 2017. Translation kindly supported by the Transcript Programme of the Mikhail Prokhorov Foundation. With its elegant prose, its memorable vignettes and its profound humanity, Yelena Rzhevskaya’s memoir would be remarkable even without the headline act of her involvement in the identification of Hitler’s corpse. The addition of that material, however, makes this book – quite simply – one of the most important memoirs to emerge from the Second World War.